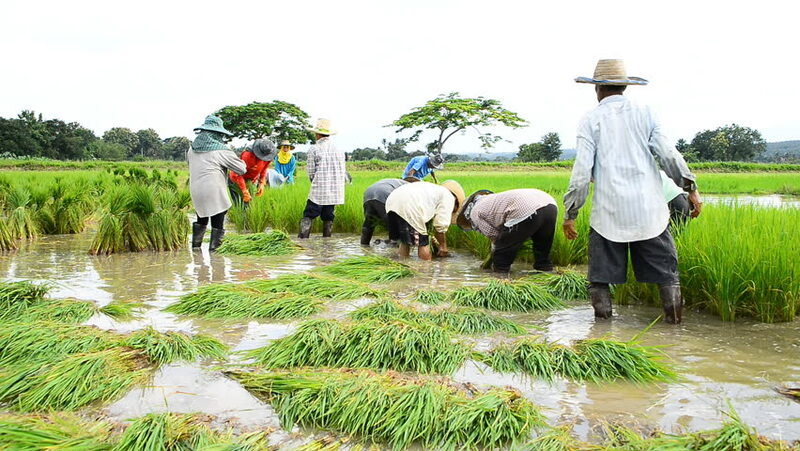 CHIANGMAI THAILAND AUGUST 17 :Thai farmer working on rice plantation on August 17,2014 in Chiangmai Province Thailand. hd00:13In the countryside of Thailand. There are many cows and in the morning they will eat grass. hd00:36Gorgeous white horse waving mane on a green pasture. Spring in Rhodope mountain, South Bulgaria.